I love making my own mincemeat, the smell is wonderful! It’s really really simple, and makes about five jars, which is ample if your family has a slight mince pie addiction like mine. If you pot the mixture up in pretty jam jars, they make great edible gifts too. I have searched for a recipe which doesn’t contain suet, so this is perfect for vegetarians and vegans. Also it is gluten free too! The night before soak the sultanas & raisins in half of the brandy, til they are plump and boozy. They can be kept in the fridge until needed. Peel, core and cube the cooking apples. Place cooking apples in a pan with a splash of water, and cook over a low heat until they begin to break down and resemble cooking apple sauce. At this point turn off the heat and leave the cooking apples to cool. In a separate bowl mix the boozy sultanas and raisins with the pomegranate seeds and cranberries. Add the rest of the brandy, the clementine juice, sugar and spices to the mixture and stir thoroughly. Making sure that the cooking apples have cooled, add them to the mincemeat mixture and mix until everything has been evenly distributed. This mincemeat should then be decanted into sterilised jars, and can be used to make mince pies throughout the season. 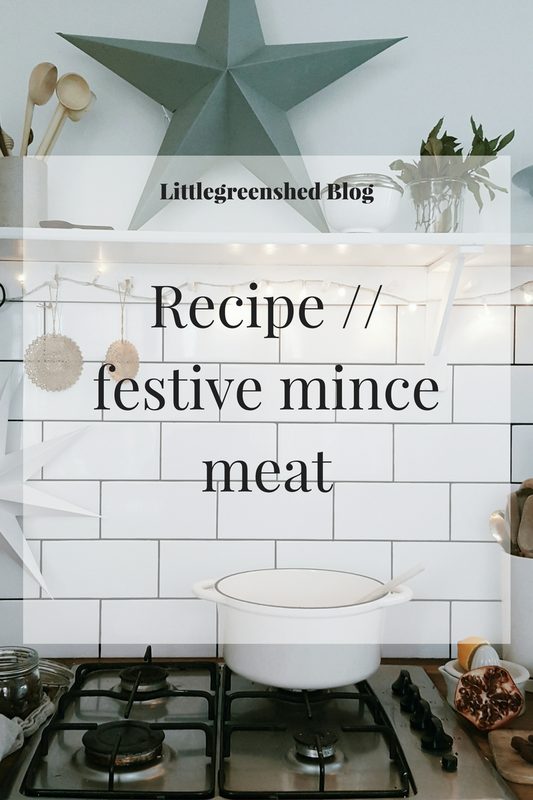 Mincemeat also makes a great Christmas present for the foodie in your life, just get creative with some festive ribbon and you have the perfect edible gift. Hint: For a gluten-free Christmas treat, why not use this mincemeat as an ice cream topping. This post was originally posted in December 2016. This sounds delicious, anything with booze is great at Christmas :)! 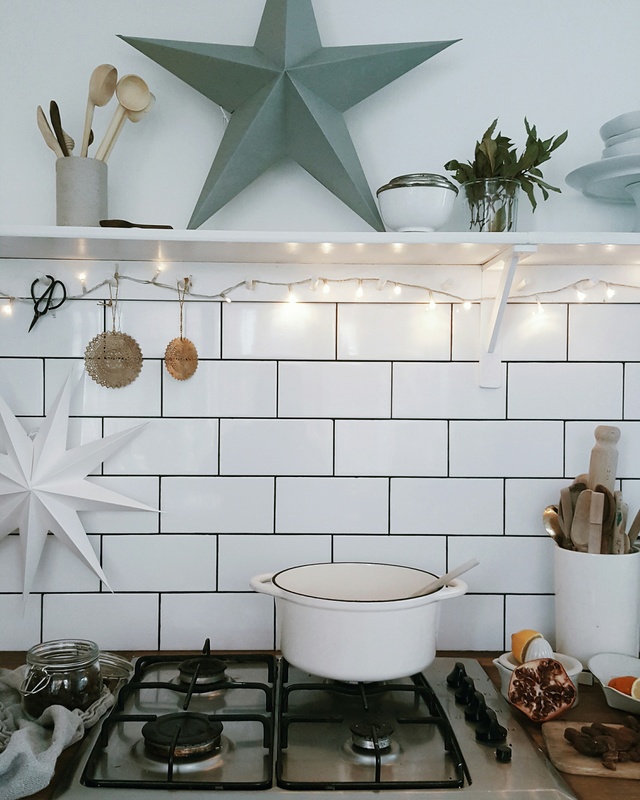 Also, that picture is so cute, your kitchen looks lovely!